FHA loans differ from conventional loans starting with the most basic aspect of purchasing a home: the down payment. Down payment requirements for FHA home loans start with a minimum of 3.5%. Conventional mortgages require higher money up front. August 6, 2017 - There are many differences--and advantages--when it comes to FHA home loans when you compare them side by side with their conventional loan counterparts. FHA loans differ from conventional loans starting with the most basic aspect of purchasing a home: the down payment. Down payment requirements for FHA home loans start with a minimum of 3.5%. Conventional mortgages require higher money up front--as much as 10 to 20% depending on the lender. 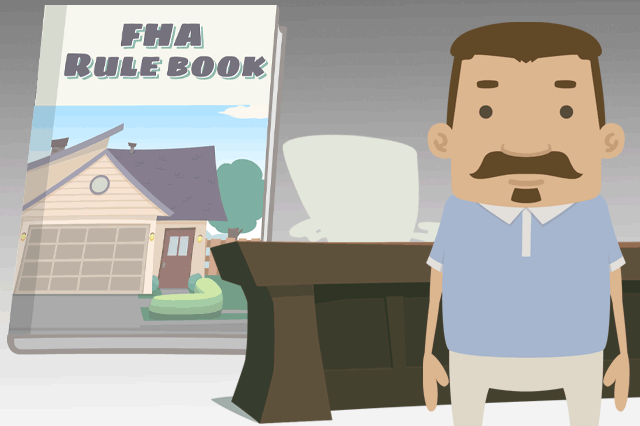 FHA home loans have zero penalties for early payoff. They may have lower interest rates and other costs, and FHA loans can be assumed-the borrower is allowed to transfer the loan to another qualified borrower rather than having the borrower apply for a brand new mortgage. To assume an FHA mortgage isn't automatic; again, the new borrower must qualify with the lender the same as any other home loan applicant. FHA home loans are also different because of the purpose of an FHA guaranteed single-family home loan. FHA home loans on single-family houses are intended for residences, not for business, time shares, or other non-residential purposes. According to FHA.gov, "FHA's programs differ from one another primarily in terms of what types of properties and financing are eligible. Except as otherwise stated in this handbook, FHA's single family programs are limited to one- to four-family properties that are owner-occupied principal residences." individual units within FHA-approved condominium projects. If you aren't sure whether the property you want to purchase meets FHA requirements, be sure to ask the lender or call the FHA directly at 1-800-CALL FHA.